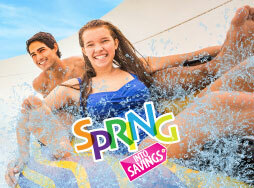 Save over 35% and end the year with a splash! We have Private Exclusive School Days and School Field Trip Days set aside just for end of year graduations and celebrations. Private School Days – Some dates sell out fast, be sure to call and book early. Private School Days are in May. School Meal Vouchers include a hotdog, chips, and Fountain Soda. Additional food options may be purchase on the day of your visit inside the park. School Field Trip Days – School Groups get special pricing on select public operating days select dates in June. School Meal Vouchers include a hotdog, chips, and Fountain Soda. Additional food options may be purchased on the day of your visit inside the park. Youth groups and summer camps save over 35% by planning in advance! Youth Groups 15 to 50 Guests – Single Day Tickets, Season Passes, and Meal Deal Vouchers are available for advance purchase. Requires online purchase or reservations at least three days in advance (full payment is required one week prior to your visit date). 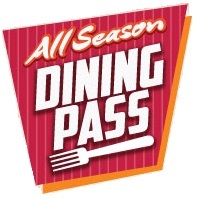 Youth Picnics 51 to 500 Guests – – Single Day Tickets plus lunch and reserved area in are available with advance reservations starting at $36 per guest. Lunch includes one hour of meal service with choice of hamburger or hotdog and chips and one hour unlimited soda service. All group programs require advance reservations. Contact our Event Coordinators at (408) 223-3951 or request a date with an online reservation.